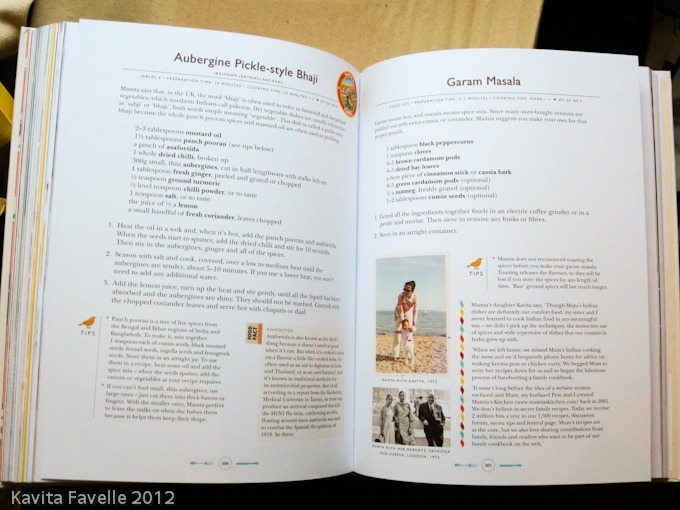 Remember how one of mum’s recipes came to be on the 2011 / 2012 Autumn Winter menu at Leon Restaurants? The two dishes did pretty well. I loved catching some of the positive feedback sent to Leon on twitter from customers, who seemed to really enjoy the curries. So, when it came to writing Leon Book 4: Family & Friends, author Kay Plunkett-Hogge asked if we’d be willing to have mum’s original recipe included in the book. Not just that recipe, but a couple of others as well. Back and forth went the emails, between mum, Kay and myself, selecting the recipes, fine tuning and double checking the wording, writing the recipe introductions and additional stories and scanning and sending photos of mum and I from days gone by. The book was released in October and I was very excited to receive my copy (which arrived in the post about 5 minutes before we left the house to travel to Japan)! Leon’s books have always included recipes from friends and family of the Leon team, but this book is all about them. Kay and John Vincent (Leon co-founder and co-author of the book) have gathered a wonderfully wide selection and there are many that catch my eye. Hopefully I’ll try some out myself soon and I can let you know how I get on. In the meantime, photos of our pages, of which we’re very proud. Don’t they look great? 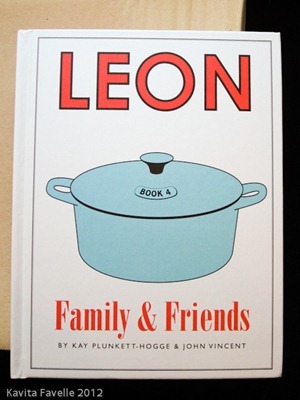 Leon Book 4: Family & Friends by Kay Plunkett-Hogge and John Vincent is currently available on Amazon for £17.50 (RRP£25). 26 Comments to "Mum and I in Leon Book 4 Family & Friends"
Oh wow that’s fantastic! I want one now. I know which recipe book to put on my Christmas list. Kudos! Published again. Nice work Kavey & Mamta! Lovely Kav, all of it your hard work :-). You were a cute baby, mwah! Darn right I was cute. But my ears were wiggly weird! 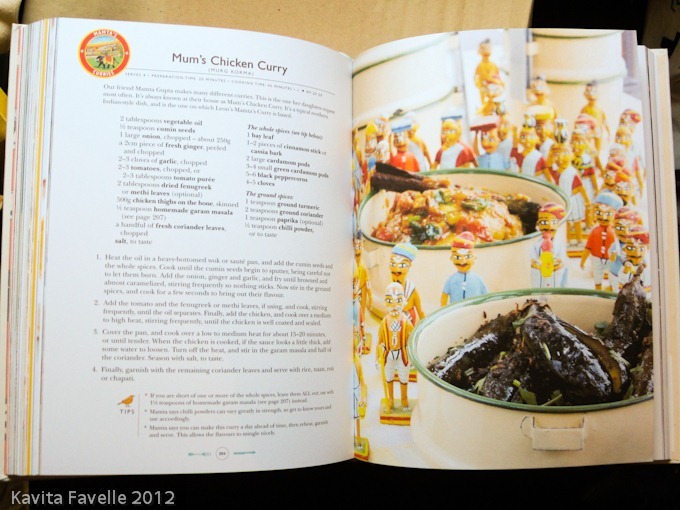 That is brilliant, must be so lovely for you and Mamta to see your family recipes in print. Congratulations to you both, you must be over the moon. I will certainly be looking out for the book in the shops. Thanks all, for sharing our excitement! Congrats that is great. I have just received a review copy of the book so will have to try your mums recipe out! Congratulations, how lovely for both of you! I’m hearing good things about this cookbook – I’m always captivated by the Leon covers. I know you shouldn’t judge a book by its cover. Adding it to my cookbook wishlist! Thanks Mausi, glad you like, was very happy to give them photo of mum with nana and nani to use. Well done Mamta and Kavey. Leon seems to be popular as seen by many positive comments at Amazon. Well done. 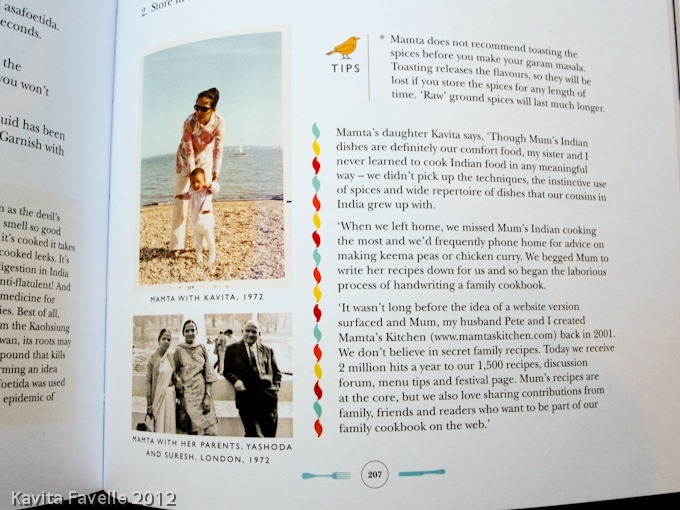 Anyway i am a Mamtas kitchen http://www.mamtaskitchen.com fan for many years now and her recipes are authentic and excellent. Cheers. Hey everybody out there. I love Leon and I love Indian curries. Best of luck and God bless.